Worldscreen's options -- including timers, wireless remotes and sun and wind sensors -- will add to your enjoyment. Read about how our customers are using their Worldscreen products. Worldscreen's founder, Mr. Stephen P. Lukos, holds numerous US patents and has other patents pending for the technology behind our floating fabric suspension system, which allows our screens to roll and unroll wrinkle-free time after time. 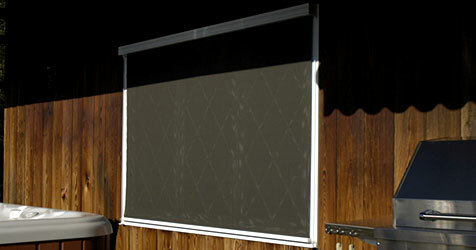 The design means that you will enjoy simple, easy-to-operate use of your shades for years to come. Mr. Lukos also has multiple patents pending in over 40 countries.